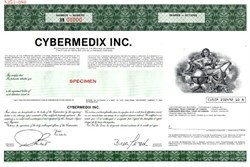 Beautifully engraved SPECIMEN certificate from Cybermedix Inc. 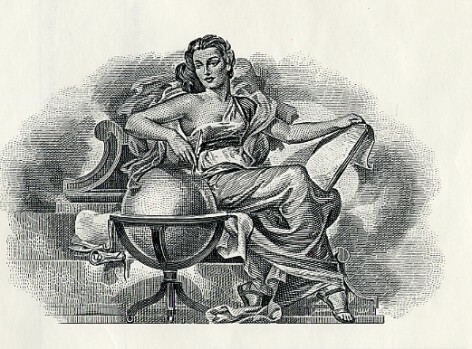 This historic document was printed by British American Bank Note Inc. and has a block border with a vignette of an allegorical woman sitting and holding a notepad. This item has the printed signatures of the Company's President and Secretary. CyberMedix provides Patient Data Management, Communication, and Information Systems for the Hospital Industry. CyberMedix has developed the InteleNett� family of patient data management products. These systems increase productivity, reduce cost, improve efficiency, and extend the operational life expectancy to existing patient monitoring and therapy delivering devices.